Minister Steinitz says that talk between PM and Trump will focus on Iran, and that the PM won't retract support for a Palestinian state. 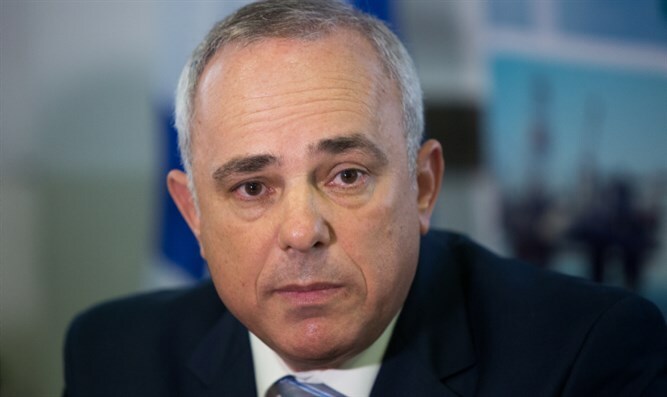 Minister Yuval Steinitz said in an interview with Channel 2 that the main goal of the upcoming meeting between Prime Minister Netanyahu and US President Donald Trump was to deal with the Iranian threat. On the other hand, Steinitz said that “pressure from the Jewish Home party is more of a publicity stunt,” referring to Jewish Home members’ demands that Netanyahu emphasize to Trump that the goal of a Palestinian state is dead. With respect to steps that can be taken against Iran, Steinitz said that it’s still possible to monitor Iran more closely and to constrict Iran’s influence in the Middle East. When Steinitz was pressed nevertheless to relate to the Palestinian issue, he said that we have built and will continue to build in Judea and Samaria, and that Bennett did not present any sort of ultimatum during the cabinet meeting on Sunday. He also noted that there is no Palestinian partner for a peace deal, and that this fact is also known to European leaders. “Abu Mazen is not ready to recognize our right to our own country, he refuses to negotiate and, additionally, there is already a Palestinian state in Gaza,” he said. Steinitz assessed that Netanyahu is not expected to step back from the support he indicated for a Palestinian state as outlined in his 2009 speech at Bar Ilan University and that such a move would not be realistic but, even so, a Palestinian state would be a tragedy - aside from the fact that such a state already exists in Gaza. “Let’s look in the mirror. There is no partner on the other side on whom we can rely,” he said, asserting that this is also clear to world leaders. “Islamic extremists are taking control of more and more places around the world, like they did in Gaza. We need to be realistic. Whoever gives up on Judea and Samaria is putting the foundations of our existence into question. We want peace but there is not such a possibility at the moment,” he said.